This set of Six Padilla Stoneware Traditional Mugs 16oz is just one of Padilla's new unique designs. This particular Padilla design now comes in 9 different colors. Notice the stoneware cup design with the Round Top and the Octagon Bottom and artistic drip design on the mug. This Padilla Mug Tree Set would make a great addition to anyone's kitchen decor. 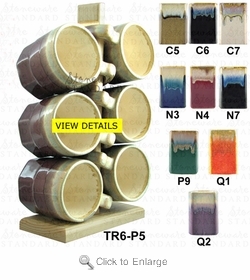 You may order replacement mugs for this set here Padilla Stoneware Traditional Mug. 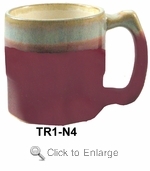 Understand replacement Mugs may vary in color from original mug set.